Episode 115 - LIVE from Dayton! 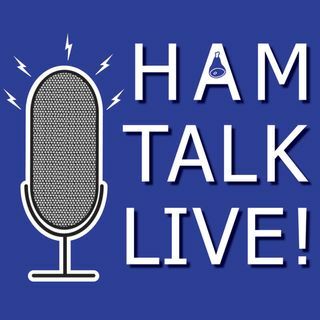 Weather, Traffic, Parking, and Event Info | Ham Talk Live! We are LIVE from the SpringHill Suites in Miamisburg (Dayton, Ohio) getting YOU ready for Hamvention! We have an exclusive Hamvention weather forecast from Eric Elwell, KD4BNT, StormCenter 7 WHIO-TV Chief Meteorologist; a Dayton and surrounding area traffic report from the Greene County Sheriff Gene Fischer, KX8GCS; up to the minute information from the Hamvention Parking Staff about onsite parking, remote parking, and busing; external events information including a call from Gary West, K8DEV ... Maggiori informazioni from the National Voice of America Museum of Broadcasting, and more! We won't be taking your calls tonight, but we will again starting next week!